The Stork Connection provides Bakersfield with a unique way to announce the arrival of a little one. 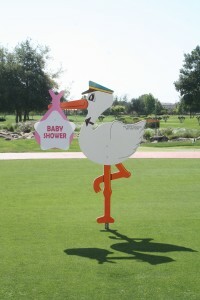 Our 7 foot storks can be rented for 1 day to welcome guests to a baby shower. 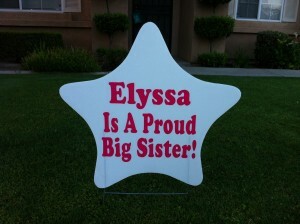 Birth Announcement packages are available for 5, 7, or 10 days to welcome mother and baby home from the hospital. 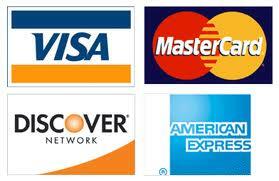 All packages include free delivery, set-up, and removal. Birth announcement packages also include a personalized star keepsake displaying the baby’s first and middle names, date of birth, weight, and length. This keepsake makes a great nursery decoration. 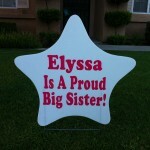 Personalized sibling stars are also available for big brothers and sisters. 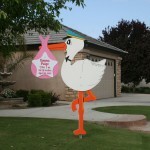 Please call at least 24 hours before you would like your stork delivered. 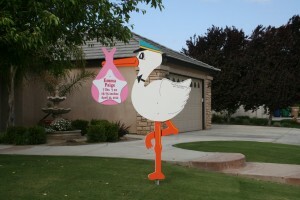 To reserve your stork anytime before the baby’s due date, please call 661-322-1610 or complete the reservation form. Help your guests locate the shower with ease! 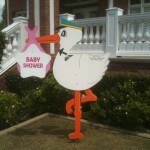 Having a stork at a baby shower is a great way to help guests find their way to the shower. 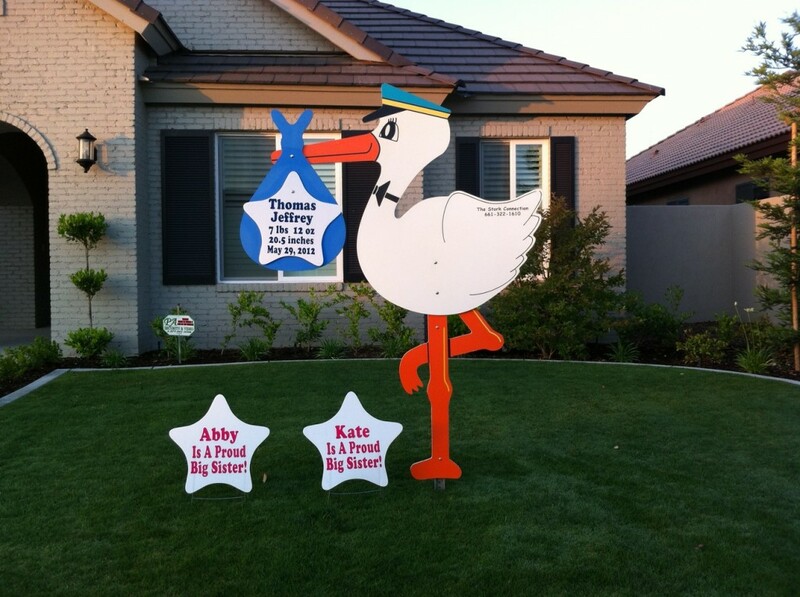 Who could miss a 7 foot stork in the front yard? Call to make your baby shower more memorable. Don’t forget to take a picture of the mom-to-be in front of the stork. It makes a great photo keepsake!